A guest post today from Shanta Everington. I know what I think of the methods of some parenting gurus, but we all have to make up our own minds without influencing others, don’t we. An interesting piece, from a writer who is passionate about choice. 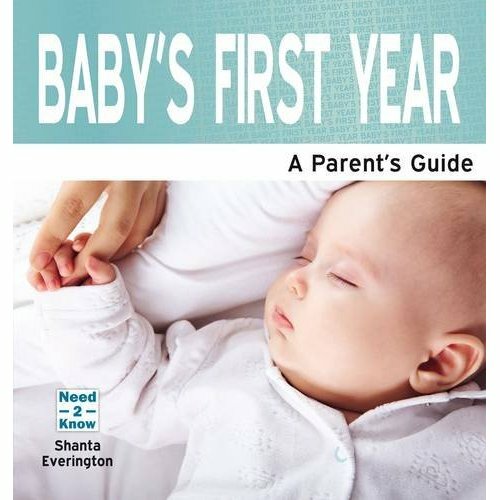 Shanta Everington is the author of four published books, including non-prescriptive parenting books, Baby’s First Year: A Parent’s Guide and The Terrible Twos: A Parent’s Guide with Need2Know Books. She runs a parenting book blog at www.parentguideuk.wordpress.com and a writing website at www.shantaeverington.co.uk. This week, there was a heated debate on the BabyCalm blog about the rights and wrongs of controlled crying, following publication of (some say flawed) research that indicated that it was not harmful. Parents on both sides of the fence wanted to convince the other side that they were right. We all know that people are individuals, right? With vastly differing temperaments, likes, dislikes, values, beliefs systems and world views. So why do we have to agree that ‘one size fits all’? Similarly, many baby care books will have you believe that all your life experience – all those years spent building a unique frame of reference from which to view the world – is meaningless, because THIS IS THE RIGHT WAY. When my son was fifteen months old, Channel 4 aired its controversial series, ‘Bringing up baby’, which compared techniques which were popular in the Fifties, Sixties and Seventies via six families with new babies trialling three different approaches to baby care under the guidance of three mentors. The Truby King method, although created in the 1950s, seemed to be making a comeback when I became a mother six years ago. When I’d visit the health centre, some professionals spoke to me like there was only one way to do things. ‘Put the baby down.’ ‘You mustn’t give into him.’ ‘He’s just trying it on.’ blah blah blah. The idea that babies are somehow Machiavellian for wanting to be loved and held is frankly scary. I knew my parents had the Dr Spock book (the biggest selling book in history, second only to the Bible) and I was reassured by Dr Spock’s advice, ‘Trust yourself; you know more than you think you do’. I’d never heard of the Continuum Concept, which is based on the lifestyle of Yequana tribes, but I was interested in it for the very reason that suggesting that mothers hold babes ‘in arms’ until they can crawl was the extreme opposite of the ‘put him down or he’ll get used to being held’ propaganda. I never missed an episode. What I loved about this programme was the acknowledgement (at last!) that there are different approaches and that they are all based on underlying belief and value systems. Each approach offered vastly different advice on every aspect of parenting. Continuum Concept parents carried babies in slings twenty-four-seven and slept with them at night. Truby King parents put the babies in their cots and shut the door, discouraged from picking up a crying baby. Continuum Concept parents fed on demand, at least the mothers did, from the breast, of course. Truby King parents fed from the bottle according to a strict timetable and with minimum cuddling which would ‘only encourage them’ to expect it. Dr Spock parents, in the absence of any rules, just did what felt right. In Winning Parent, Winning Child, Jan Fortune-Wood explores the origin and power of parenting ideas and discusses the Darwinian concept of ‘memes’, ideas that, like genes, self-replicate. She explains that we need to have a critical eye on such memeplexes, which as well as containing useful ideas, may often contain harmful ideas that inhibit our thinking about parenting. So-called ‘progressive’ parenting ideology can be as unforgiving and rigid as the fifties methods. Although a lot of The Continuum Concept principles corresponded with my own instincts, I also found the assertion that the deprivation of the ‘in-arms’ stage is the root cause of all evil (we’re talking drug addiction, mental illness, criminality, the lot) and that the Yequana’s way of life is the only ‘right’ way to live is frankly ridiculous. Some parents and babies love ‘baby-wearing, co-sleeping, breastfeeding on demand’ and some don’t. Is it not possible to want to breast feed but not co-sleep or vice versa?! As parents, we need to decide for ourselves what we are comfortable with, what style of parenting fits our own set of beliefs, our value system, our world view and our babies’ temperaments. We don’t have to buy into any particular ‘parenting religion’. We CAN pick and choose!